Whether you are a highly experienced trader looking for alternative ideas, or a beginner looking learn to trade commodities from ground one, Higher Probability Commodity Trading is an excellent resource! 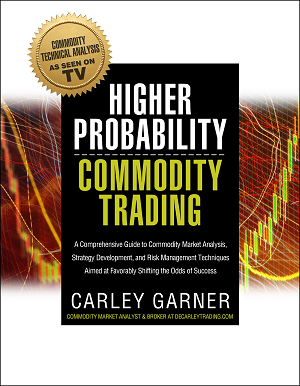 Carley Garner's fourth commodity trading book, Higher Probability Commodity Trading, was written with readers of previous efforts in mind but with the primary intention of creating a one-stop-shop for all things commodities. 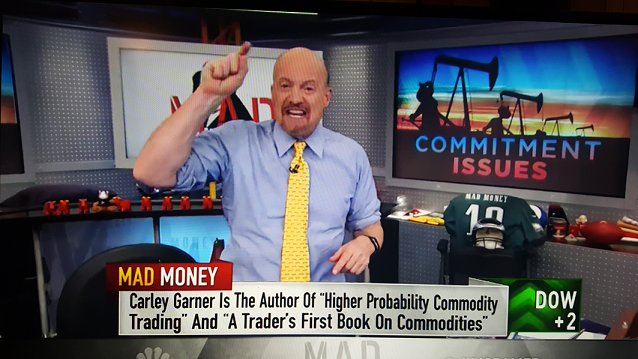 In A Trader's First Book on Commodities readers learned about all of the steps necessary to get started in commodity trading prior to actually entering the futures and options markets such as choosing a futures broker and a commodity trading platform. This particular futures trading book, Higher Probability Commodity Trading, picks up where the other left off, delving into commodity market analysis using charting techniques, the Commitments of Traders Report, futures market seasonality, and fundamental analysis. This comprehensive commodity book also takes readers through the process of strategy development, option trading, risk management and hedging tactics, and more, all in an easy-to-read format.